Moon and stars. 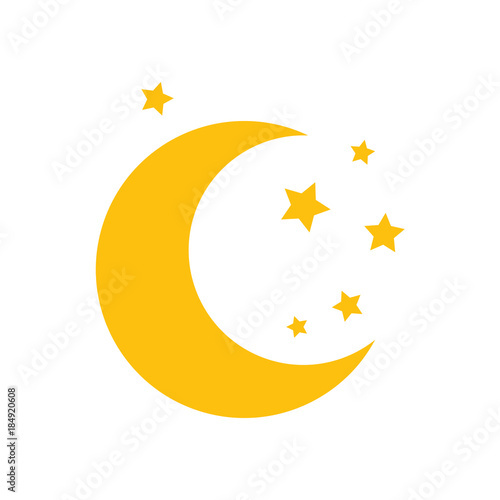 Yellow moon and stars isolated on white background. Vector stock.